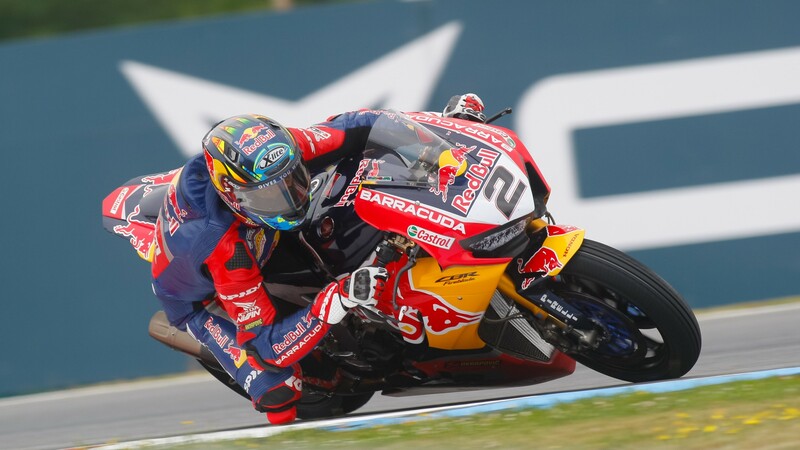 Camier: "I think the track should suit the Fireblade"
Last month at the Autodromo Internacional do Algarve there was no box busier than the Red Bull Honda World Superbike Team’s. Adding a private two-day test to the official Portimao test, the Fireblades received several updated features that promise to give both riders an extra boost for the final rounds of the season, starting this weekend at the Nolan Portuguese Round. 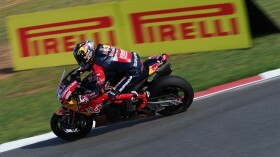 Leon Camier (Red Bull Honda World Superbike Team) chose to sit out half of the final day of testing to focus on resting his neck, injured a month before in training for the Suzuka 8 Hours race. Now fully fit and fully focused, the British rider prepares his return after the summer break with progress in his sights: Camier has scored good results before at Portimao and showed good pace in August with the new parts, despite the physically demanding nature of the Portuguese rollercoaster. “After a long break from racing I'm looking forward to getting back on my bike this weekend at Portimão and my body should be in better shape than it was during the test”, Camier confirms. “When we tested at this circuit last month we found a good direction with our development and now we need to follow through with this progress during the race weekend. The developments we've introduced should help us this weekend and I think the track should suit the Fireblade, so I hope we can convert this into a good result”. Follow the Red Bull Honda World Superbike Team’s progress at the Nolan Portuguese Round from 14th – 16th September thanks to WorldSBK VideoPass. Camier: "We have a slightly revised approach for the weekend"
Camier: "There’s a lot to learn in the first few sessions"
Camier: "The aim is to come back stronger this weekend"